Brother Thomas Westberg, FSC, has been appointed sub-director of the Novitiate in the Lasallian Region of North America effective July 1, 2015, for a one-year term. Brother Tom is currently a counselor at Sacred Heart Cathedral Preparatory in San Francisco, California. 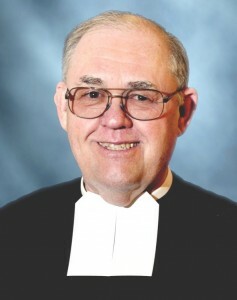 Since 1974, Brother Tom has served in teaching and administrative roles in schools and retreat houses. Brother Tom will join Brother Thomas Johnson, FSC, in leading the Novitiate. Brother Tom Johnson began his role as Novitiate director November 30, 2014. Brother Tom Johnson described Brother Tom Westberg as a good choice because he has worked with the District of San Francisco New Orleans postulants and served as their director at Sacred Heart Cathedral Prep. Brother Tom Johnson called Brother Tom Westberg a good complement to him in creating and sustaining a formation community for novices.